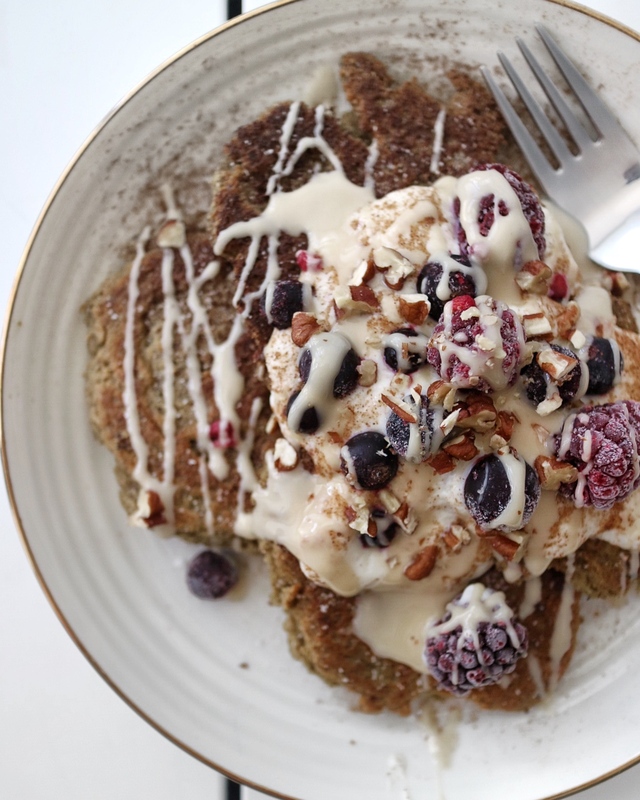 But with pancakes I was convinced that it should be possible with a few replacements from my regular pancake recipe, so I got onto testing a few recipes and ingredients andended up with this version of keto friendly pancakes! The pancakes turned out very fluffy actually which I absolutely loved, but be aware that without the flour they won’t hold together as well as they otherwise would, so be careful when flipping them in the pan. 1. Simply blend all ingredients apart from the yogurt until well combined. 2. Let the dough rest for 15 minutes, then add the yogurt in last and mix well. Let it rest for another 10 minutes before continuing. 3. Heat your pan over medium to high heat and add a spoon of coconut oil to the pan. Add a tablespoon of dough to the pan for each pancake and cook them in batches to avoid then sticking together. 4. 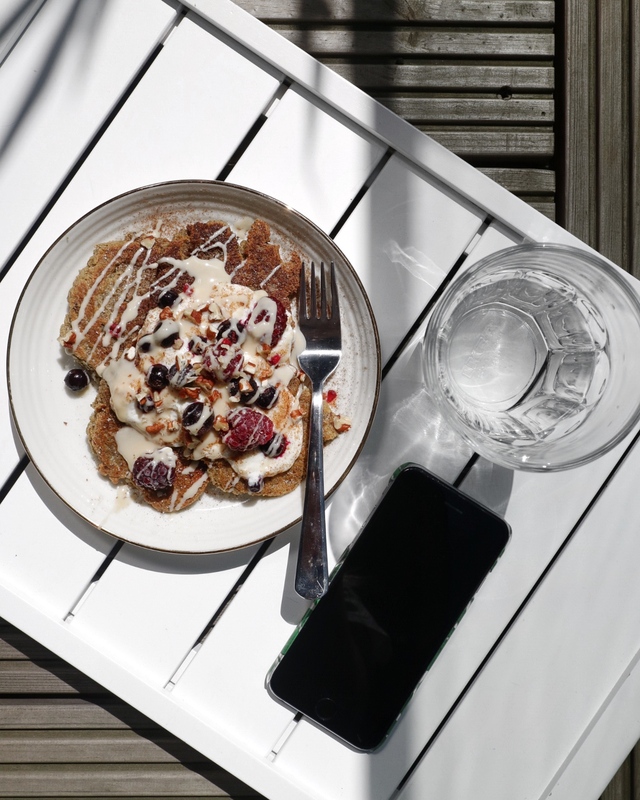 Assemble the pancakes on a plate and add your favourite toppings: I absolutely love almond butter or coconut yogurt (sometimes both!) and sesame or hemp seeds can add a nice little crunch! And so do toasted pecans… yum! 5. – and most importantly: enjoy!